Donald Gee. 92pp. Assemblies of God Publishing House, Nottingham. UK. 1980. Donald Gee brings together some fascinating personal accounts of twenty seven pioneers and leaders of the Pentecostal Movement. Both an appreciation and an appraisal of each person are included thereby providing an insight into their strengths and weaknesses. Gee restricted his selection to those whose ‘earthly course’ was finished at the time of writing. A chapter is included on Smith Wigglesworth as well as many of his contemporaries including Alexander Boddy, George and Stephen Jeffreys and Aimee Semple Macpherson. Wayne E Warner. 163pp. Logos International, Plainfield, New Jersey. 07061, USA. 1978. Also published as ‘REVIVAL! - TOUCHED BY PENTECOSTAL FIRE - EYEWITNESSES TO THE EARLY TWENTIETH CENTURY PENTECOSTAL REVIVAL.’ Harrison house Inc. Tulsa, Oklahoma, USA. 1978. See ‘Revival!-Touched by Pentecostal Fire’ (above) for further information. George Stormont. 140pp. Harrison House Inc., Tulsa. Oklahoma, USA. 1989. 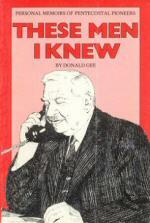 Also published by Sovereign World Ltd., Tonbridge, UK, 1990. George Stormont first met Smith Wigglesworth in 1941 and became a good friend. Based upon a wide variety of personal reminiscences, the author provides an insight into the spiritual significance of Wigglesworth’s life and ministry. Also included in the publication is a reprint of ‘Tribute to Smith Wigglesworth’ written immediately after his home call by his son-in-law, James Salter, and first published in ‘Redemption Tidings’ on 28th March 1947. Of related interest is a set of four talks given by George Stormont on Smith Wigglesworth - see Audio Tapes & CDs. 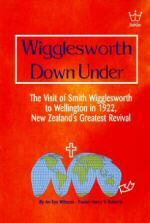 ‘WIGGLESWORTH DOWN UNDER - THE VISIT OF SMITH WIGGLESWORTH TO WELLINGTON IN 1922 - NEW ZEALAND’S GREATEST REVIVAL UNDER SMITH WIGGLESWORTH BY AN EYEWITNESS. Pastor Harry V. Roberts. 56pp. A new reprint of ‘New Zealand’s Greatest Revival Under Smith Wigglesworth’ by Jubilee Resources, PO Box 36-044, Wellington 6330, New Zealand. 2001. See ‘New Zealand’s Greatest Revival’ (above) for further details. First published in 1941 by the Elim Publishing Co. Ltd, London, under the title ‘THE PENTECOSTAL MOVEMENT.’ Revised, enlarged and re-entitled 1967. Donald Gee. 317pp. Heath Press Ltd., Croydon. 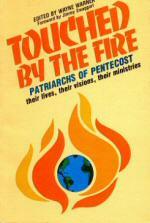 Donald Gee’s magnum opus on the history of Pentecostalism. Gee knew Smith Wigglesworth well and this book contains several extensive references to him written from a first-hand perspective. Gee’s observations and comments are of particular help in our understanding of Smith Wigglesworth’s role and ministry within the development of the Pentecostal Movement. The first edition features a selection of historical photographs, including one of Wigglesworth at Sunderland in May 1912. Gee was elected to senior positions in the British Assemblies of God (AOG); he was Vice-Chairman from 1934-1944 and served as Chairman from 1945-1948. Irene Warner. 3pp. ‘Renewal’ Magazine, Issue 239, April 1996. An exploration of Smith Wigglesworth’s beliefs and experiences drawn mainly from the 18 sermons included in his book ‘Ever Increasing Faith’ published in 1924. Stanley H. Frodsham. 357pp. Gospel Publishing House, Springfield, Missouri, USA. 1926. 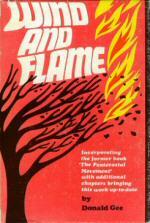 Stanley Frodsham’s classic account of the twentieth century worldwide outpouring of the Holy Spirit. 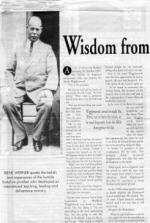 Eye-witness testimonies of Smith Wigglesworth’s visits to Scandinavia and Switzerland in 1921, Australia and New Zealand in 1922 and Rome in 1926 are included.